CBS Corporation announced the launch of CBS All Access, a new digital subscription video on demand and Nielsen-measured live streaming service for the CBS Television Network. CBS All Access will offer subscribers thousands of episodes from the current season, previous seasons and classic shows on demand, as well as the ability to stream local CBS Television stations live in 14 of the largest U.S. markets at launch. CBS All Access is available beginning today at CBS.com and on mobile devices through the CBS App for iOS and Android. 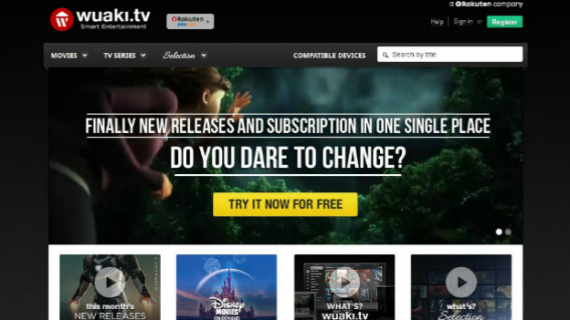 The service allows fans to watch more CBS programming online and on mobile devices, while introducing yet another monetization window for the Company’s industry-leading content. CBS All Access will be available on other major connected devices in the coming months. Full current seasons of 15 primetime shows with episodes available the day after they air. Unprecedented ability to live stream local CBS stations in 14 of the largest markets at launch, with more to be added as affiliates join the new service. Full past seasons of eight major current series, including THE GOOD WIFE, BLUE BLOODS and SURVIVOR. More than 5,000 episodes of CBS Classics, including every episode of STAR TREK, CHEERS, MACGYVER, TWIN PEAKS and CSI: MIAMI. Access to exclusive additional content for CBS Television’s biggest special events, such as THE GRAMMY® AWARDS, THE ACADEMY OF COUNTRY MUSIC AWARDS and THE VICTORIA’S SECRET FASHION SHOW. Ability to stream the BIG BROTHER 24/7 Live Feeds service for no additional fee when the show returns next summer. Advertising-free environment for all CBS Classics. CBS All Access offers an even more robust viewing experience on CBS.com, the #1 network website across platforms (comScore), and the CBS App, which has been downloaded more than 10 million times. 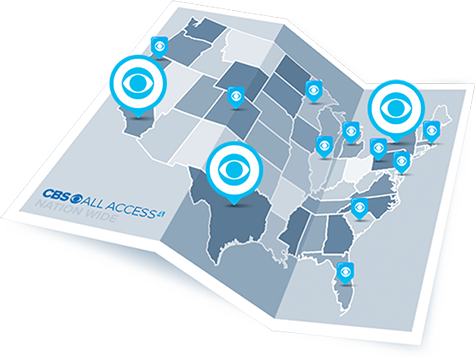 The ability to live stream local CBS stations through CBS All Access was built in close collaboration with CBS’s owned and operated stations. Syncbak, in which CBS has a minority investment, powers the delivery and geo-targeting of the live feeds to in-market subscribers. At launch, live streaming will be available in CBS’s 14 owned and operated markets, including: New York City, Los Angeles, Chicago, Philadelphia, Dallas, San Francisco, Boston, Detroit, Minneapolis, Miami, Denver, Sacramento, Pittsburgh and Baltimore, with more to be added. Non-subscribers will continue to have access to the most recent current episodes of CBS programming on CBS.com, select CBS Audience Network partner sites and through the CBS App. Programming will be available the day after the shows air on TV, with an eight-day delay on mobile devices for primetime series only.